Are you ready for Halloween? My family doesn’t really “celebrate” it in the sense of getting dressed up or participating in trick or treating. We like to make fun food and sometimes, I like to gross my kiddos out – Pumpkin Vomit or Kitty Litter Cake anyone?! 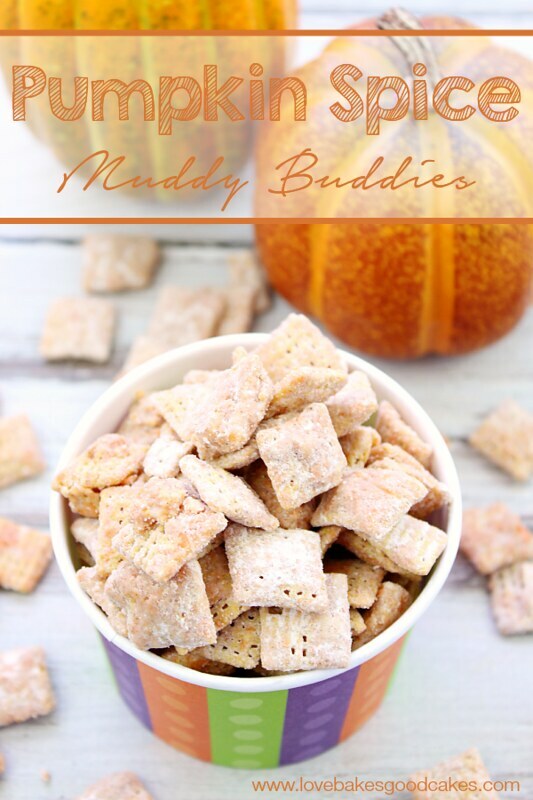 Of course, Halloween food doesn’t always have to be scary, gory or gross. Sometimes, it can be fun and cute! 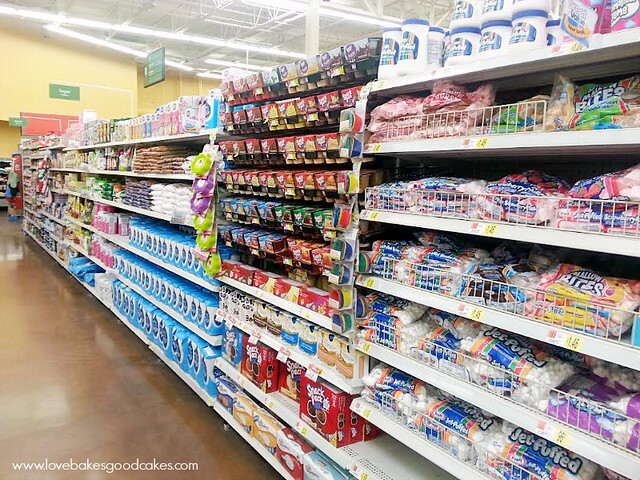 This is my favorite aisle at my local Walmart – the baking aisle! I’m sure my regular readers are not surprised! 🙂 When I need inspiration for blog posts, this is where I go – I can spend way too much time here. Some of you may remember me telling you that our neighborhood puts on an awesome block party for Halloween. Some of the kiddos in the neighborhood dress up and trick or treat (some don’t) … but we plan on going for the food and the fellowship. 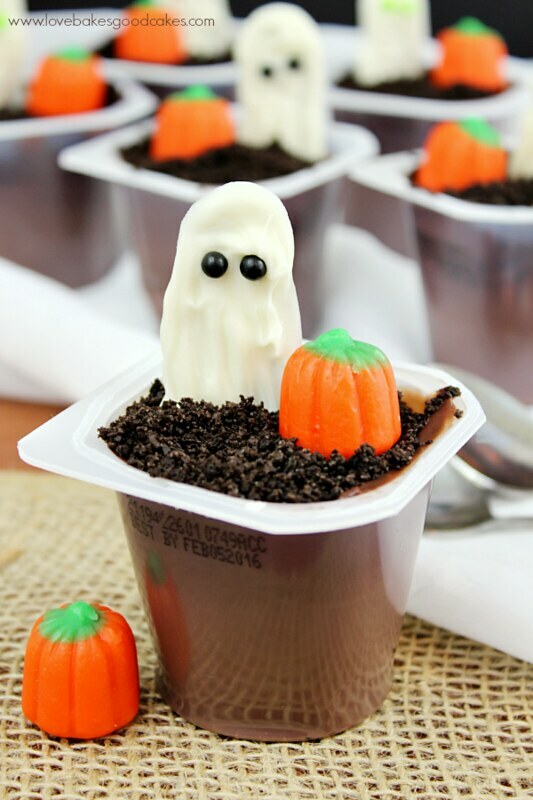 I have a few ideas of what I may take to the potluck this year – with these Ghost in the Graveyard Halloween Pudding Cups being a top contender right now. It would be so fun for the kiddos to put them together themselves … and let’s be honest – it’s kinda cool for the adults too! 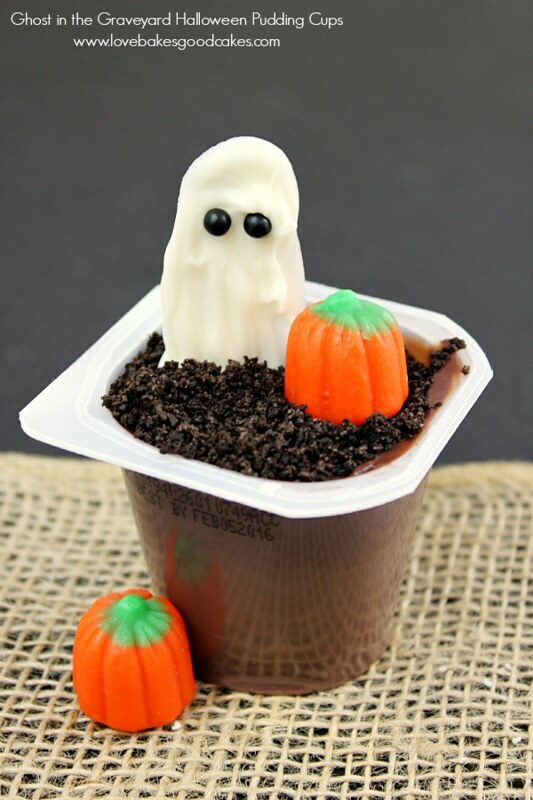 The last time I was in Walmart, I figured I would pick up the stuff to make these Ghost in the Graveyard Halloween Pudding Cups for a trial run on my family. I had this idea of making my own ghosts and wanted to make sure they weren’t going to be lame before taking them to a party! 🙂 I wanted to make sure they sort of looked like ghosts … Or maybe it was just an excuse to have a cool dessert?! 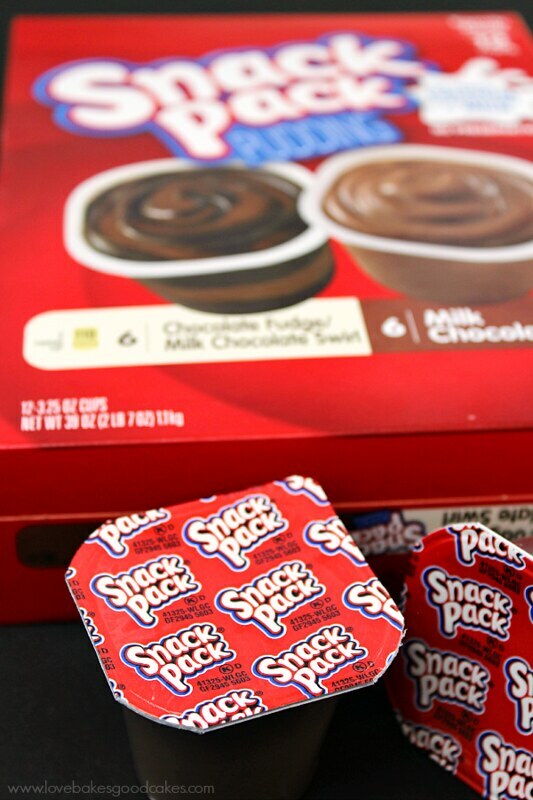 Either way, my kiddos love Snack Pack pudding cups, so I bought two of the big 12 pack boxes! All chocolate … of course! 😉 Not to mention, with Snack Pack’s having as much calcium as an 8 oz. glass of milk, this is a great tasting treat that I can feel good about! 1. Place the ghost template on the counter. Place a piece of wax paper over the top of the template, large enough to cover the paper. 2. Melt the candy melts according to package directions, just until melted. Place the candy melts into a freezer zip-top bag and snip a small piece off of the corner. 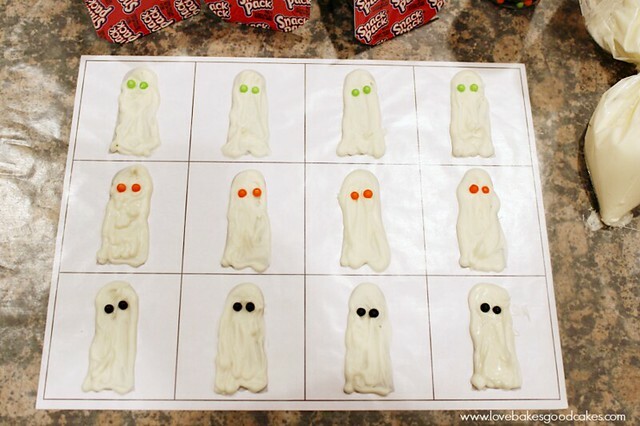 Trace the ghost shapes and fill in with the melted candy melts. Immediately place round sprinkles, raisins, mini chocolate chips or similar items in the candy for eyes. Allow to set until firm. 3. Peel the top off the pudding cup and discard. 4. Sprinkle some of the crushed Oreo cookies over the top of the pudding cup. Stick a candy ghost into the pudding. Place a marshmallow creme pumpkin next to the ghost. 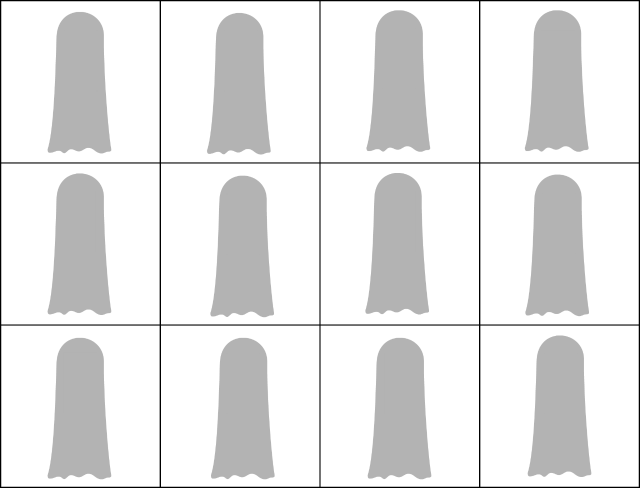 Click HERE (or the picture below) to download your FREE ghost template. What will you be making for Halloween? so cute!! your ghosts are amazingly adorable!! pinning! Jamie, these are so much fun and I just love the ghosts! Pinning – happy Saturday and enjoy your weekend, my friend. Hugs! Super cute. 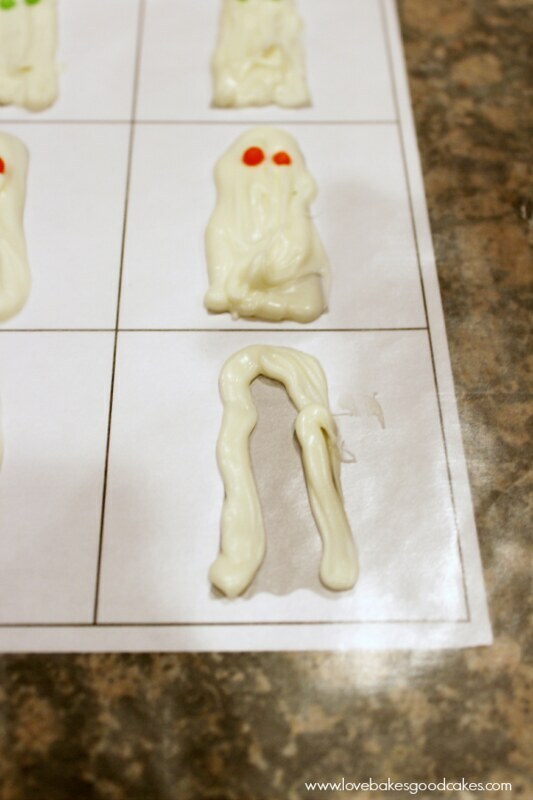 I love making things out of chocolate, and those ghosts are perfect for Halloween! 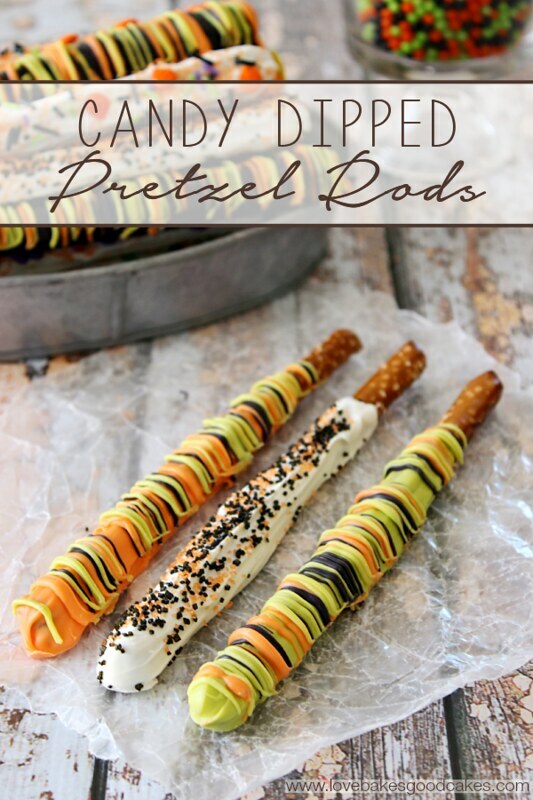 These are so fun looking and a perfect Halloween snack! OMG Jamie, these are adorable!!! Thanks for posting them @ The Weekend Social. 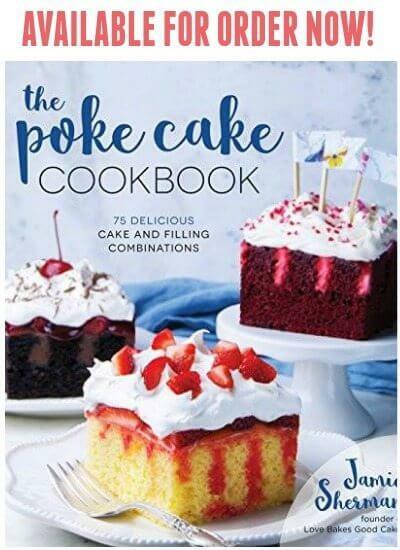 These are adorable, Jamie! Such a simple but SUPER cute idea! I love this idea! It is so cute and it actually tastes good! 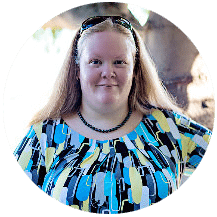 I would love it if you would share a post on my Meet Up Monday Blog Party! These are so cute! Pinned! 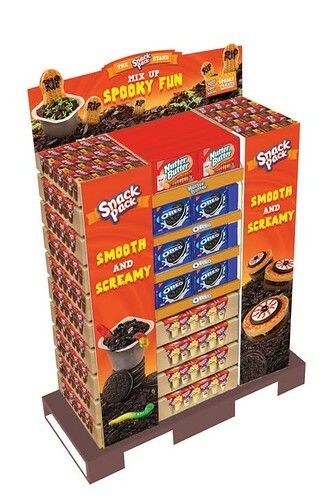 Now that's a simple fun treat for a Halloween party. Pinned. Thanks for bringing it by Weekend Bites. So cute, Jamie! I have no idea what we're having for Halloween. I always do some kind of themed supper and dessert. Too many ideas to pick from and I'm suffering from Halloween overload! These are so fun, and I love those adorable ghosts! These are so cute, so darling! 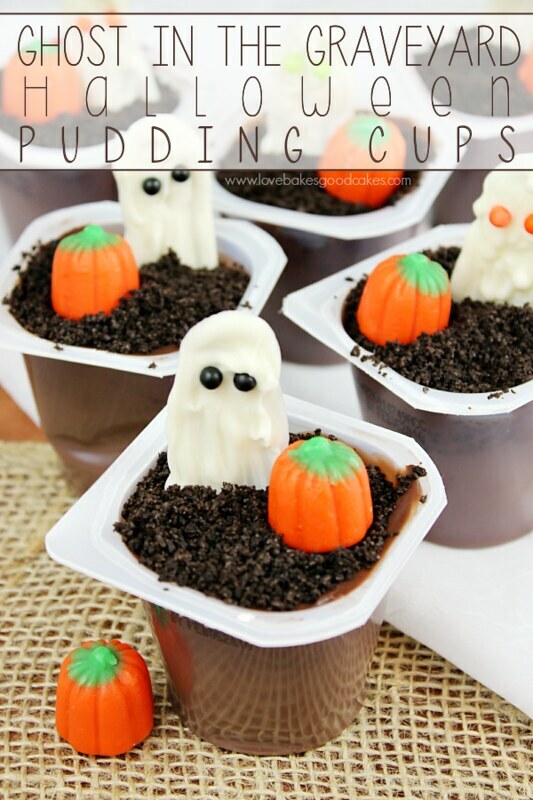 I love how many cute things you can do with a pudding cup. I love it.